The translucent, hard-wearing fabric canopies allow a comfortable amount of soft light through to the walkways and into the airport terminal. 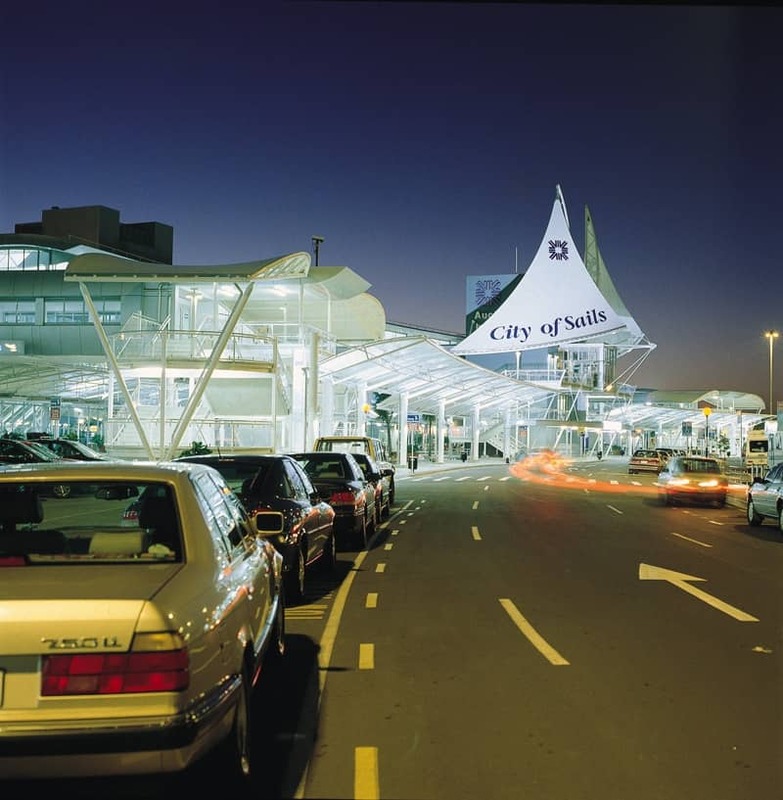 Architects designing a new airport in Auckland, New Zealand, used Shelter-Rite® architectural fabric to create an impressive and functional entryway, illustrating Auckland's "City of Sails" theme. Architects Stephenson & Turner set out to make the new terminal as light and open as possible, creating a comfortable environment for visitors and employees. The result is a unique mixture of sails and canopies which let in plenty of natural light, combining with the Waka motif marmoleum floor to effectively enhance Auckland's status as the world's largest Polynesian city. Walkway canopies also enhance the exterior appearance of the building's glass and steel facade, offering protection from harsh sunlight and occasional showers. Structurflex Limited fabricated and installed the tension membrane structure using Seaman Corporation's Shelter-Rite Dacron polyester reinforced PVC fabric. The Shelter-Rite 8028 MW architectural fabric, with a life expectancy of well over 10 years, was selected with a fluoropolymer coating for greater self-cleaning properties and its ability to preserve an attractive appearance with minimal maintenance. Covering an area of more than 3,100 square yards, the translucent, hard-wearing fabric canopies allow a comfortable amount of soft light through to the walkways and into the terminal building. In the evening, uplights pick up reflections off the canopies and the diffused light enhances the whole environment.